Corey Bischof Suicide Memorial - Suicide.org! Corey Bischof Suicide Memorial - Suicide.org! Corey Bischof Suicide Memorial - Suicide.org! Cumberland Valley High wins the district title. Corey Bischof, 18, was the handsome star quarterback at Cumberland Valley High School in Pennsylvania. Besides being a great athlete, he was extremely intelligent and was very popular with his fellow students. On May 1, 2004, his body was found in a wooded area behind a church. He had been missing for three days. Corey died by suicide on April 29th of a self-inflicted gunshot wound. The suicide has shocked and saddened the entire community. Corey was preparing for his senior prom the following week, and he was set to graduate in a month. He was also planning on playing college football at La Salle University in the fall, and he was considering majoring in criminal justice. Corey had a great family, with two wonderful parents, Edward and Margaret, and two precious sisters, Marisa and Theresa. Corey did not leave a note, and none of his family members or friends saw any warning signs. "We can't think of any kind of reason why he would have done this. Corey was a quiet person. I guess he kept everything in. He's the only one who would know why," said Corey's father, Edward. "It's upsetting. We never really detected anything in him that he would want to take his own life. It's shocking. No one can explain it," said one of Corey's friends. "He was a fine young man...people are just totally in shock," said school principal Dominic Cavallaro. The coach of the champion Cumberland Valley High football team, Tim Rimpfel, said, "This is a very special young man. We feel very terrible losing Corey. We feel terrible for his parents. We feel for them and his teammates. We're devastated as a team and a coaching staff. He was a great kid and we're just devastated." Corey's teammates gathered at Coach Rimpfel's home after they heard about the suicide. All of the players were deeply shocked and saddened. The Cumberland Valley High football team was undefeated during the regular season and won the district title. Corey was the star quarterback and the leader of the team. Corey earned his starting position at quarteback when he was only a sophomore. And for the three years that he started at quarterback, he led the team to 33 victories with only 4 losses. "He was a winner...He was an outstanding player," said coach Rimpfel. Corey's outstanding play also earned him a spot on the Mid-Penn Commonwealth All-Star team. "We are devastated to hear the tragic news of Corey Bischof...We send our deepest sympathy to Corey's family and their community," said Phil Longo, head football coach at La Salle University, the school that Corey was preparing to play for. "There's a lot of young boys who wanted to be like Corey Bischof," said Cumberland Valley athletic director, Dave Bitting. "He was a role model. All the young quarterbacks coming up through midget football wanted to be like him." Corey had also participated in track and field his junior year. The track team found out about Corey's death during a track meet, and everyone was devastated. Bill Bixler, Corey's track coach said, "[The athletes] are close to each other...It's tough on the kids." And the Cumberland Valley High baseball team, also devastated by the news, decided to stop playing in the middle of their game after they heard about Corey's death. "One of the kids found out [about the suicide]," said baseball coach Mike Whitehead Jr. "I called the team together in the dugout, and I made a decision not to send them back out. I decided it wasn't good for them to be out there." All of the students at Cumberland Valley were deeply affected by Corey's suicide. About 20 percent of the students did not go to school after hearing about Corey's death. "Noboby talked as much as we're used to. There were a lot of tears," said Samantha Crider, 16, referring to what it was like at school for those who did attend on that day. Cumberland Valley students wore red ribbons as a memorial to Corey. In the aftermath of the suicide, one school counselor said, "Any amount of suicide is too much, and there is a growing number of teens committing suicide. I think we've been seeing kids dealing with higher and higher levels of stress, you know college, getting into college. It's a lot for kids to handle." Counselors are helping the students cope with the shock and overwhelming loss. "We are trying to get them through it, said principal Dominic Cavallaro. "They're having a difficult time with it." 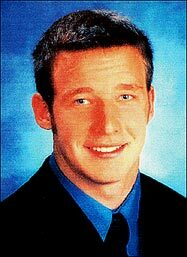 Corey was buried on Thursday, May 6, 2004. Over a thousand mourners attended the funeral, which was held at Good Shepard Catholic Church in Camp Hill. Most in attendance cried as teammates and cousins of Corey carried the casket into the church. A priest placed a crucifix, which was given to Corey at his first communion, on the casket. Corey was holding the crucifix when he died. Two of Corey's football teammates spoke at the funeral. 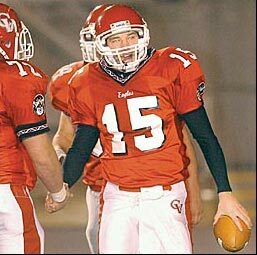 Dan Lawlor, Cumberland Valley's fullback said, "He was a leader on and off the field, a great friend, and like a brother to us all. We had a lot of good laughs together, a lot of good times." Jim Casler, a linebacker on the team, read a poem written by another teammate. One of the lines read, "You've beed drafted by God as a number-one pick." A procession of over 100 cars followed the hearse to the Gate of Heaven cemetery where Corey was laid to rest. A recent survey indicated that more that 20 percent of high school students have considered dying by suicide. And suicide is the third leading cause of death for young people aged 15 to 24. Corey suffered a serious concussion while playing football. And studies indicate that concussions can cause biochemical disturbances in the brain, anxiety , depression, and many other problems. And because concussions can cause depression, they can also lead to suicide. Untreated depression is the number one cause for suicide -- so ANYTHING that causes depression can lead to suicide. It is most likely that Corey died by suicide because of biochemical and neurological problems associated with his concussion. Corey was a great football player, and, more importantly, a great person.